Welcome to week two of Celebrate Family 2012! 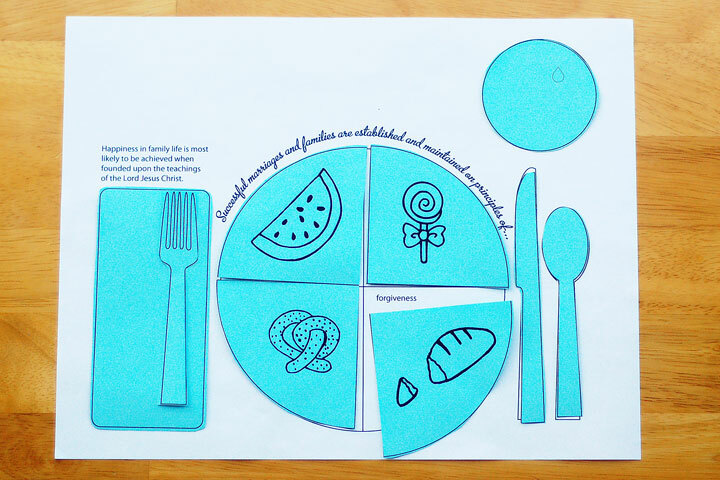 To introduce the placemat at a Family Home Evening, the principles can be covered with matching shapes, and then revealed and discussed one at a time. I've tried to make a connection between each principle and the item it is printed on. Below is a brief explanation of each shape. 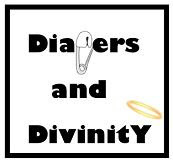 Follow the links attached to the principles for wonderful thoughts and quotes relating them to our families. Prayer: A pretzel reminds us of arms folded in prayer. Repentance: The lollipop reminds us that repentance is sweet. Forgiveness: The bread reminds us of the sacrament, and forgiveness through the atonement of Jesus Christ. Respect: The many tines of a fork remind us of respect - no one is put ahead of another, and we live in peace and harmony, being mindful of the worth of each member. Compassion: The tear drop in the cup is for compassion, to remind us of tears shared when feeling empathy towards one another. Work: The knife is an essential tool in the kitchen, and reminds us of work. Once each principle has been uncovered and discussed, you can play a memory game to see who remembers what each symbol represents. Later at the table, try interchanging an object's name for it's principle. For example, "Anyone need a little more compassion in their cups? Please wipe your mouth with your wholesome recreational activities. Save your love for later to eat your dessert!" You get the idea. ;) I hope this is a fun, helpful approach to focusing on the principles that will guide your family to greater happiness and success! 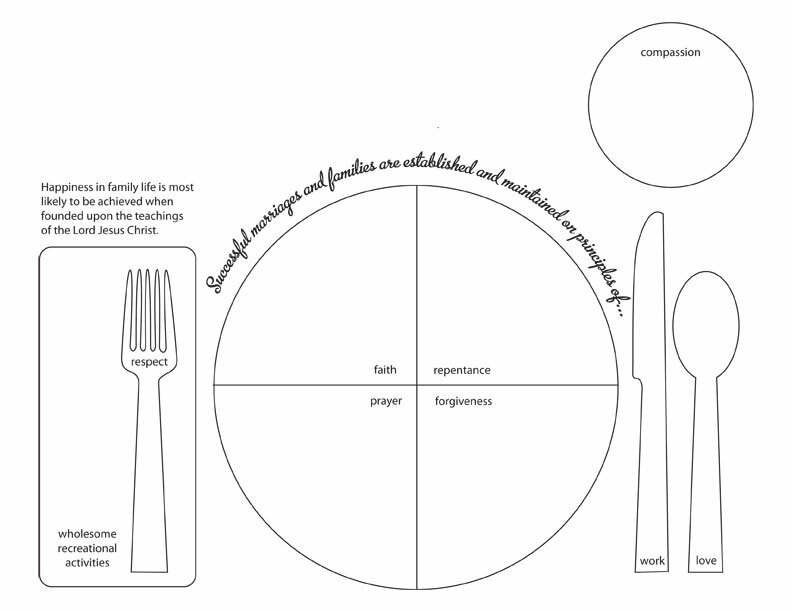 Click to download the Family Proclamation Placemat. Click to download the Blank Placemat Shapes. Kristin writes at inkablinka.com, sharing ideas for church, home and family. 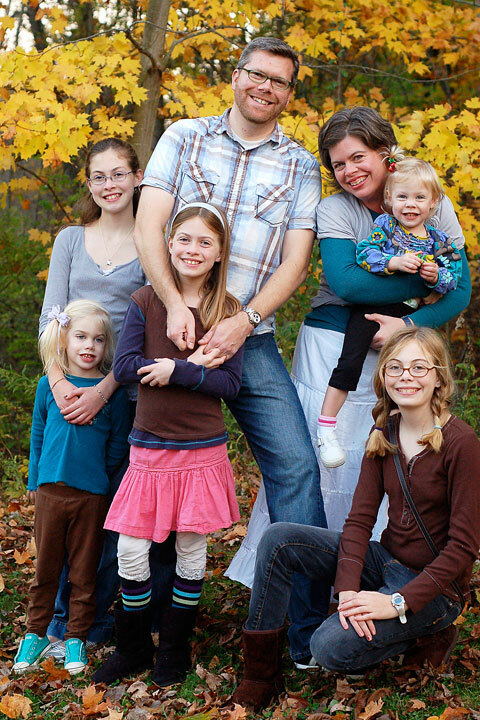 She currently lives in Michigan with her husband and five busy daughters. The giveaway this week is a gift certificate from Family Tree and Me redeemable for any of their Photo Family Proclamations, including the shipping cost. 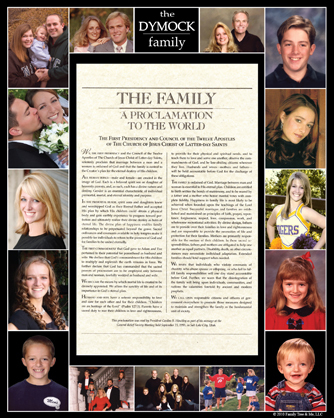 Readers of the Family Proclamation Celebration can receive a 25% discount off the price of the print if you use this code: Family Proclamation Celebration.25 The discount is good until September 30th. All those comment on posts will be eligible for the giveaway. Family Tree and Me delights in creating customized keepsake family photo art and would love the opportunity to make a meaningful art piece for you to display in your home. You provide the pictures and we create the art! We have four categories of art with a variety of options available within each one: Photo Family Trees, Photo Family Proclamations, Missionary Photo Art, and Photo Family Mission Statements. I love this idea! I'm going to do this tonight for FHE! Thank you! Love this "double duty" idea. Learning where things go on the table is always a good skill and to incorporate something spiritual is genius! Thanks for sharing. I am in LOVE with this week's giveaway. I've wanted to do something like this for our Family Proclamation for quite a while. We have our Living Christ framed with images of the Savior, but I've never quite been able to decide what to use for our Proclamation. This is fantastic! And prefect timing. It'll be our lesson tonight. Great idea for FHE!! Thanks so much for sharing it! Great Idea for FHE! Thanks for sharing it! I love love love this idea! I will be doing it for FHE tonight. Thanks! no more children in the home but it's never too early, nor too late to reminded of these principles at dinner...when we've always had discussions. Thanx so much. Great FHE idea! Jocelyn, it was great to meet you this past weekend. I love your blog! My girls will love this. Thank you. What a great idea! I love both you websites! Thanks! Love the poster- my mom told me about them when I had my daughter. Love this. I don't have time to do the work and be creative so it's nice to find these gems online. You look like a lovely family.